ECTRI considers the dissemination of scientific knowledge and research results essential. To support such dissemination, ECTRI created the European Transport Research Review (ETRR), an Open Access journal published by Springer. 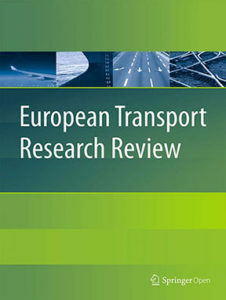 The European Transport Research Review (ETRR) is an online scientific platform aiming at disseminating research results in the field of transport.The main scope and mission of the Journal is to provide a forum for the publication of high quality scientific papers in the field of transport in general, and a dissemination medium for new ideas and developments that originate in, or are of interest to the European transport research community. There are three aspects of the Journal’s concept that mark a distinct difference to the other journals in the field of transport; first, it is the open access configuration that makes it easily and widely available through the internet with a minimum of constraints and costs; second, it provides focus on issues of special interest to European transport research, its funding bodies and supervising organisations; third, it is clearly oriented towards researchers and practitioners alike. The papers are published free of charge for authors and readers. The Journal primarily considers research papers in English, on both theorical as well as applied research, whose excellence and content represent an important contribution to transport research in Europe. Read the statement: ETRR Mission Statement. Prof. dr. ing. Karst Geurs from the University of Twente (The Netherlands) is the appointed Editor in Chief of the Journal since January 1, 2017. Prof. Geurs has been involved in ETRR as Associate Editor. His CV is available here. 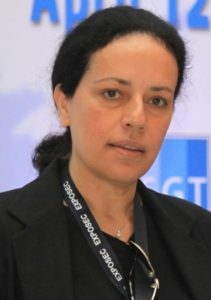 Dr. Maria Boilé Dipl. Civil – Transport Engineer, is Research Director at the Centre for Research and Technology Hellas / Hellenic Institute of Transport-HIT (Greece) and is the appointed Chair of the Advisory Board since July 1, 2016. She has been involved in the ETRR Advisory Board since 2011. For further information, please consult the ETRR leaflet and the funding information. Check also the ETRR Infographics Facts and figures at a glance.